Earlier this year, I was diagnosed with renal disease. Fortunately, in my case, it is in the early stages, and can be managed with proper diet and exercise for weight lost. As I was reading through the pamphlets about renal disease, treatments and recipe books, the thought cross my mind that since I am already on a low sodium diet and many of the recipes that I use for controlling it are similar to those use for renal management. Why not eliminate the use of deep fried food, and try air frying instead. In my previous low sodium diet I could only eat 4 ounces of red meat, fish, and chicken. With my renal diet recipes I am limited to three ounces of the same, and the recipes all called for low sodium intake. Therefore after purchasing my very first air fryer, I started testing it to see which of my favorite foods I can cook in it as appose to cooking in the deep fryer. 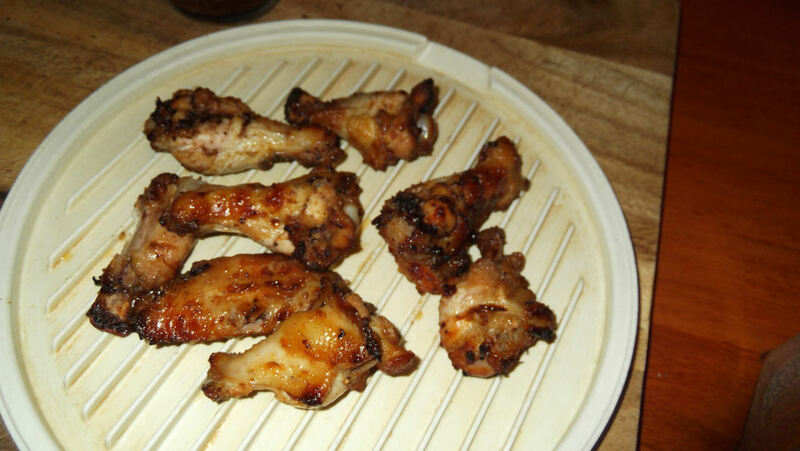 One of my first choices of foods was to air fry a batch of chicken wings and below is the results. Using my favorite wing recipe I lightly strayed them with cooking oil but eliminated the flour and added some honey. What I got was a batch of delicious sweet and spicy wings that rival my breaded ones. However, what I found surprising was what was left behind in the bottom of the air fryer. As you can see from the photo below. 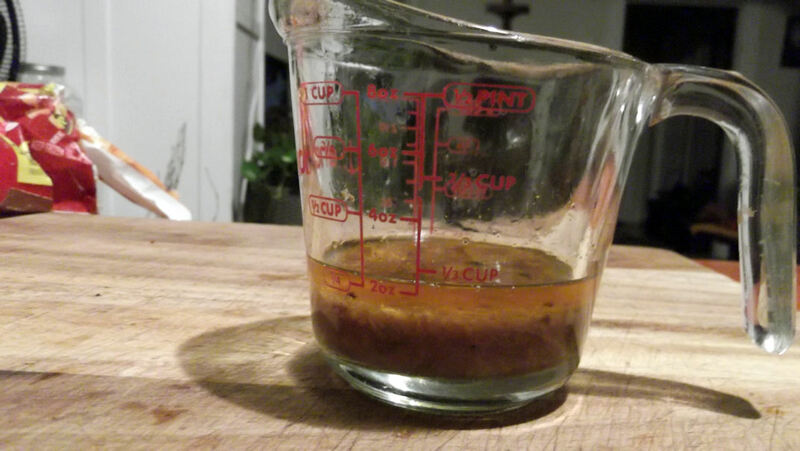 That is a 1/4 cup of chicken fat and blood from only eight chicken wing sections. I was horrified at this discovery. This discovery also made it clear that air frying is superior over deep frying. The next time I air fry a batch of wings I will add the breading and lightly stray them to help brown the wings.